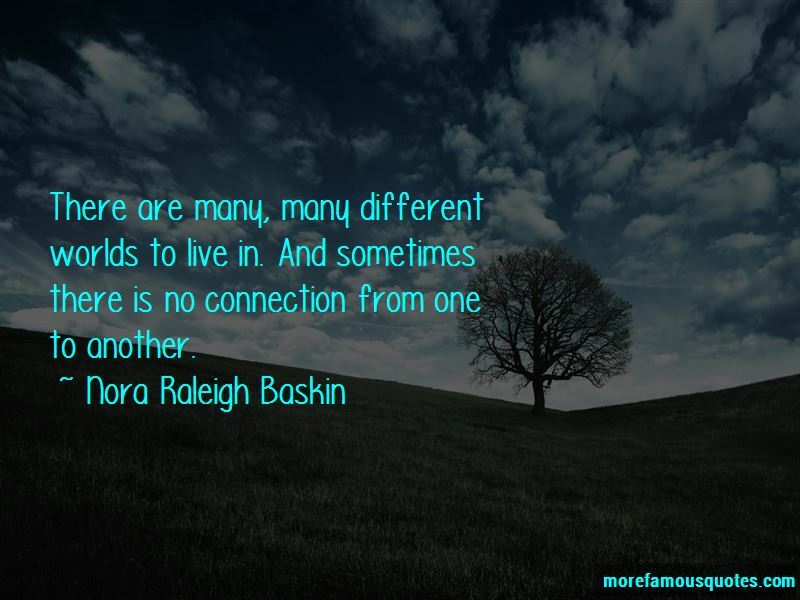 Enjoy the top 17 famous quotes, sayings and quotations by Nora Raleigh Baskin. Why do people want everyone to act just like they do? Talk like they do. Look like they do. Act like they do. 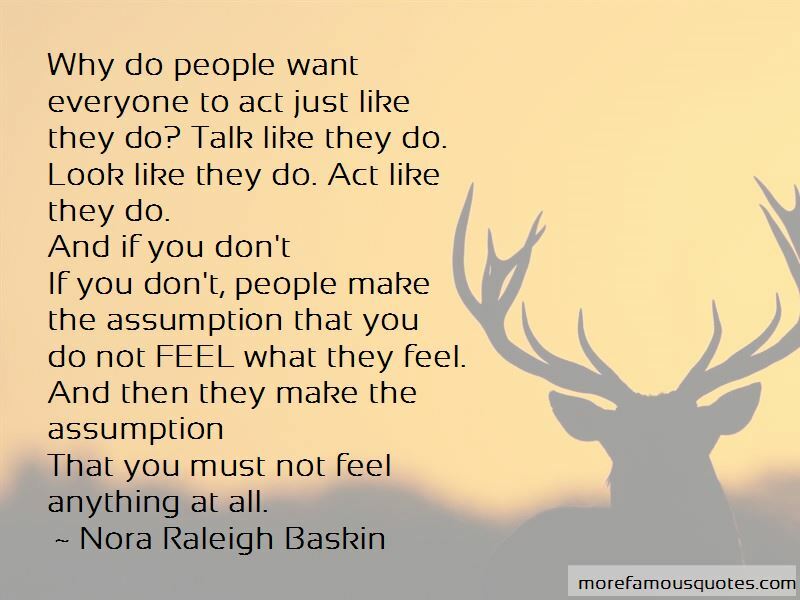 If you don't, people make the assumption that you do not FEEL what they feel. That you must not feel anything at all. “I am like a leaf on a river, riding along the top of the water, not quite floating, not quite drowning. So I can't stop, and I can't control the direction I am going. I can feel the water, but I never know which way I am heading. It occurred to me that a lot of beauty has to do with believing it yourself. That half of what we see is just the way it is presented. There were absolutely amazing photographs everywhere, on everyone's Facebook page and everyone's iPhone and Instagram, just floating around in cyberspace for eternity. People took hundreds and thousands of digital pictures; one or two, even twenty or a hundred, were bound to be great. All anyone had to do was click through them all and post the ones they liked, deleting the rest. But using film meant you never knew what was going to be a good picture, let alone a great one, until you were standing there looking at a contact sheet with a magnifying glass and deciding which to print. Maybe nobody cared anymore, but then again, writers probably felt the same way when word processors were invented. Anyone with a story and a keyboard could write their memoir now, write the great American novel, or tweet a 140-character trope that gets retweeted and it read by hundreds of people every hour of every day. Because there is a need to hear one story and to tell another. 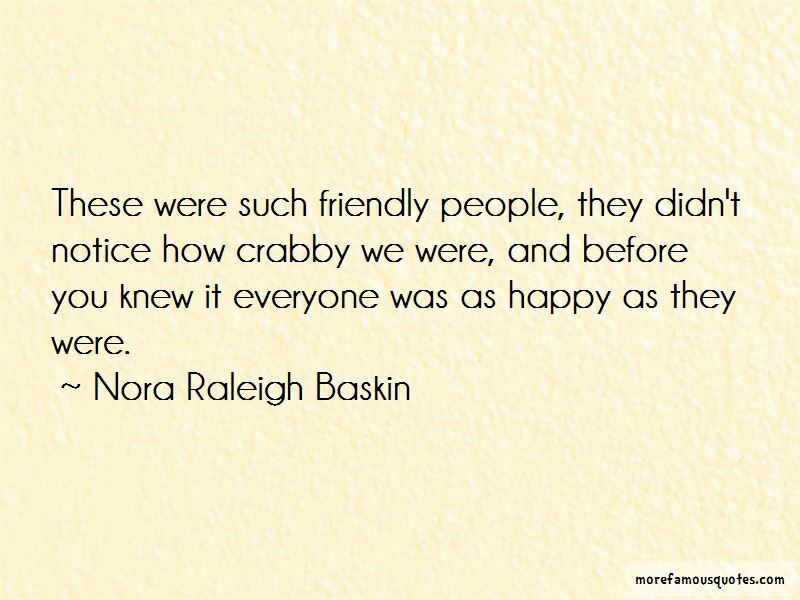 Want to see more pictures of Nora Raleigh Baskin quotes? 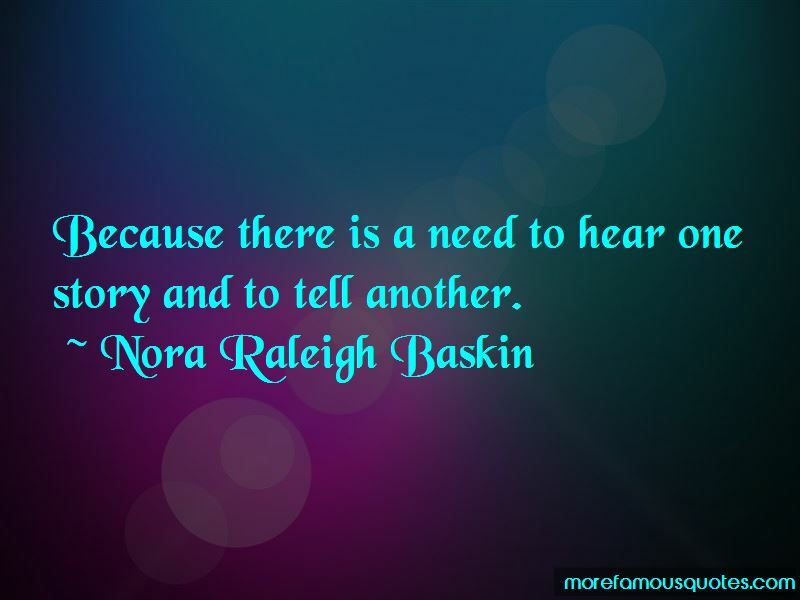 Click on image of Nora Raleigh Baskin quotes to view full size.